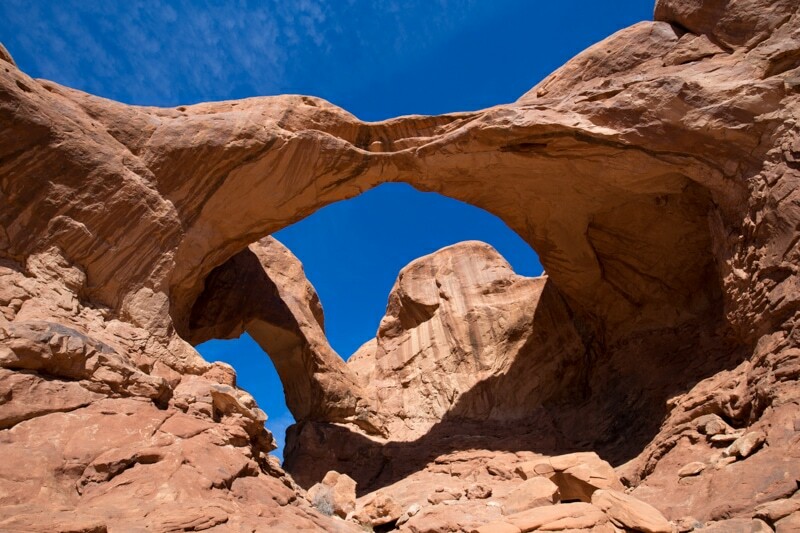 I knew nothing about many of the locations on our US road trip; Arches National Park was no different. With such a high pace to our trip, we often spent the morning before entering a certain park or destination doing last minute research hoping to find cool places to photograph. 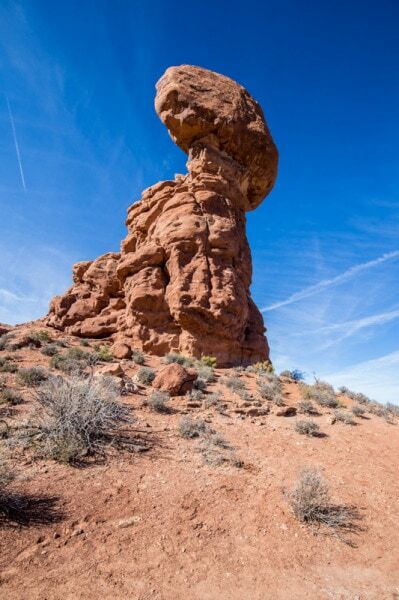 However, for Arches National Park we didn’t actually do any research, not a bit. I mean, the name pretty much gives the park away so we knew – more or less – what were going to see. But planning your photography is often a really important step, and one we skipped completely in Arches. Luckily, the park is a pretty special place, and even if we weren’t blessed with cloudy colourful skies, we had a fantastic time in the park. 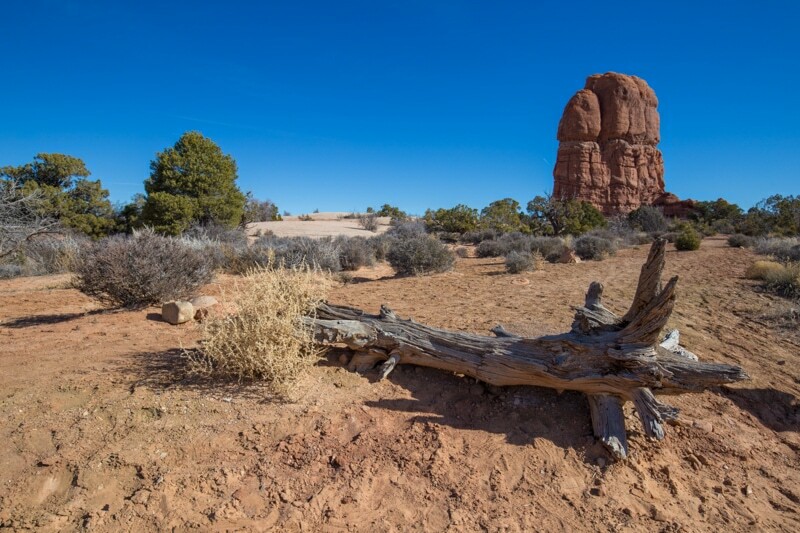 I think all you really need is a single day in Arches National Park; unless you were planning on doing some of the longer hikes. We didn’t find ourselves pressed for time at all, and I feel like we saw a pretty high percentage of the park and even did some significant hiking. 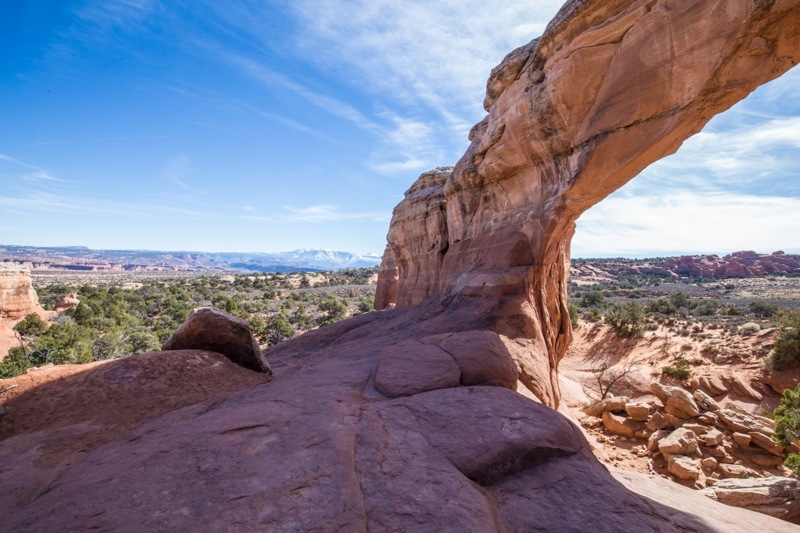 In Moab, we picked up a bunch of sandwiches from a local bakery to take with us and did a picnic inside the national park, which was definitely the way to go. 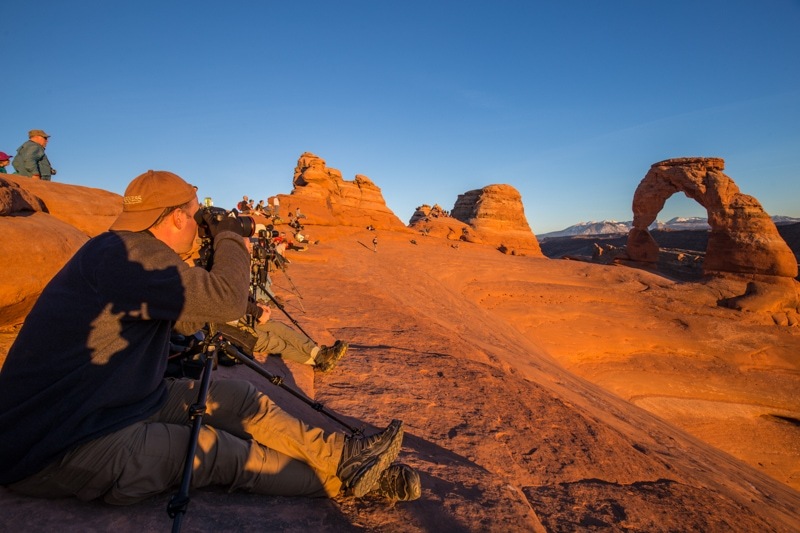 The places we saw were: balancing rock, double arch, broken arch, landscape, arch, and we finally shot the sunset at delicate arch – along with about 100 other people. 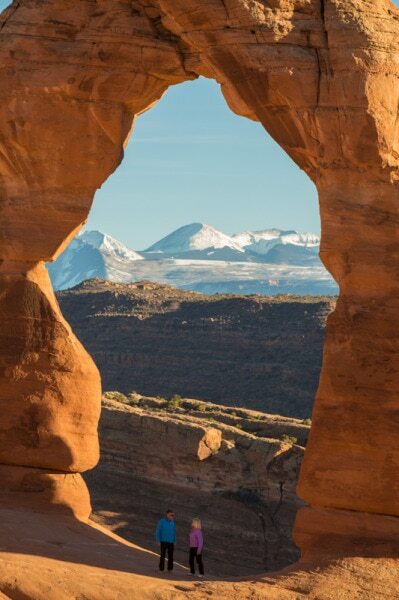 I alluded to this in the video, but from a photography stand point, the best time to visit Arches National Park has to be the winter. If you visit in the winter months, not only will the crowds be more sparse and the temperatures milder, but the sun hangs lower and offers softer light for your photography. 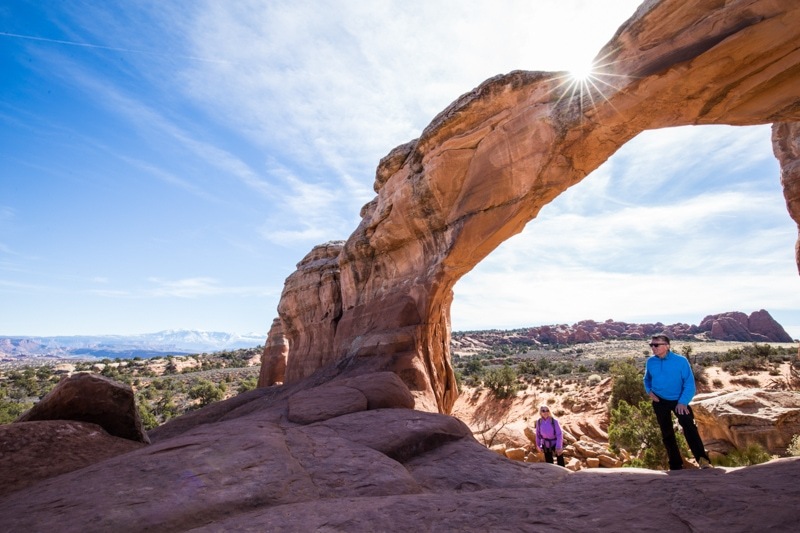 You might even get really lucky and have a park with some fresh snow in it, which looks beautiful on the arches. We nearly had the park all to ourselves until sunset when hoards of people started into the park. We found out later that it was the Friday before President’s long weekend here in the States and all the national parks are free on that weekend. Hence the influx of crowds in the afternoon. We didn’t get spectacular light in the park, but it was decent considering the lack of clouds. 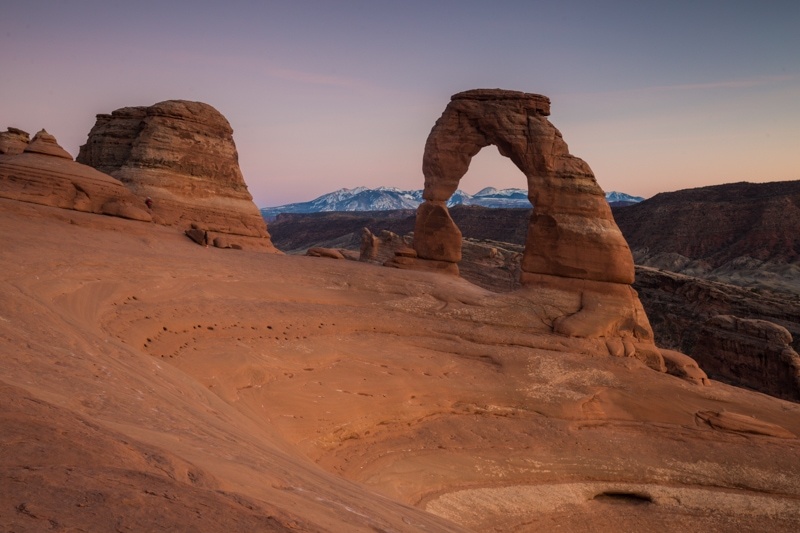 Personally, I actually like the day time images better than the heavy sunset light we got at delicate arch at sunset. For great images in the desert, you really do need to get lucky with the clouds. 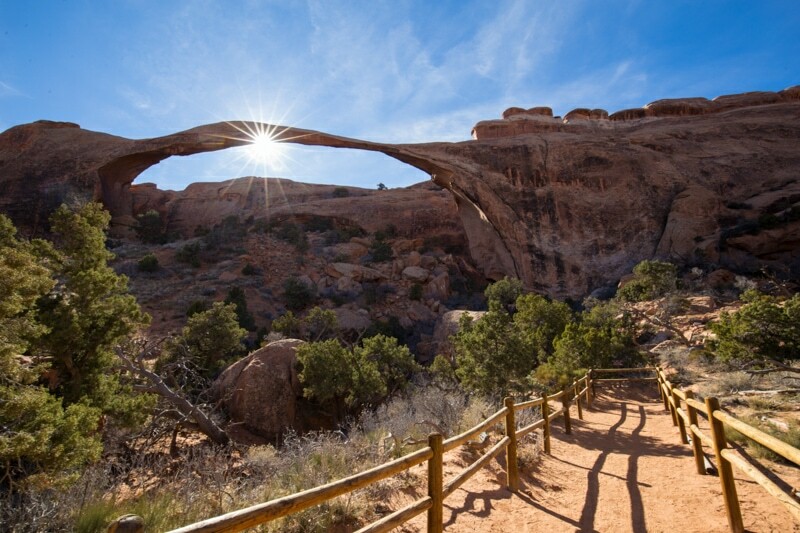 The right light like at Delicate Arch. There are actually a couple really cool things to see in the Moab area, and I really wish we would have decided to add another day to our time here. 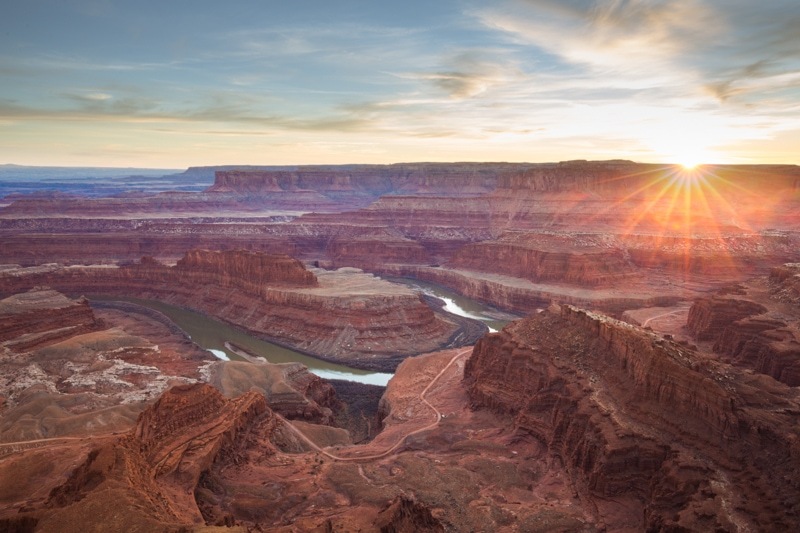 We went to Dead Horse Point State Park which was awesome, but we didn’t have time to go through Canyonlands National Park which is meant to be awesome. We also didn’t have time to visit Mesa Arch, which I really wanted to shoot either under the stars or at sunrise. I suppose, however, you can see/do it all. Sunset. How great is that sky? Next up, I’m heading to Page, Arizona where I’ll have the chance to visit Antelope Canyon and shoot some star photography over Horseshoe Bend. Then, we’re headed to Las Vegas for a weekend of luxury at the Aria Resort and Casino.